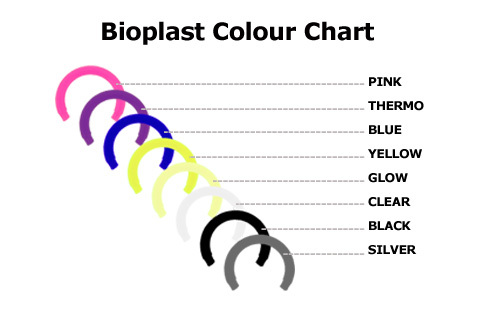 Swarowski Gems choices are: Clear, Crystal AB, Rose Pink, Aqua and Jet Black. 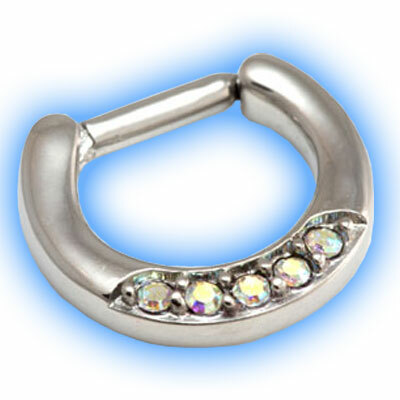 Pretty Hinged Septum Clicker made out of 316L Surgical Steel with a hinged top bar to enable easy fitting in your piercing. 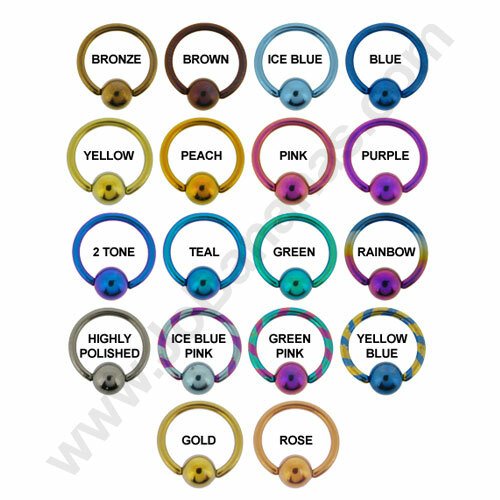 The bar measures 8mm (5/16") across and is available with a thickness of 1.2mm (16 Gauge) or 1.6mm (14 Gauge). 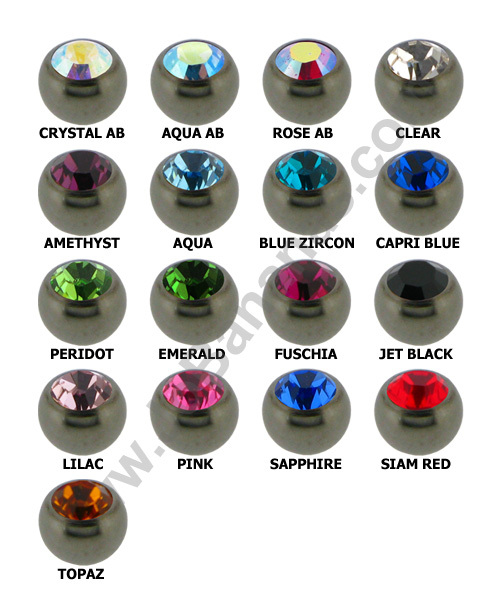 The 5 gems are genuine Swarowski Crystals and the jewel colour choices are Clear, Crystal AB, Rose Pink, Aqua and Jet Black.